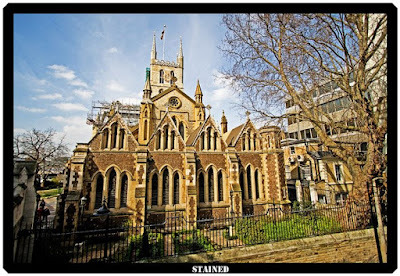 Now back in London, we decide to start the site seeing procedure. 1) It was 11:30pm when we got out at the Londen bridge tube station. It was yet another late beginning to our trip for the day. Anyway we saw this nice looking church opposite. Took a few shots and moved on. 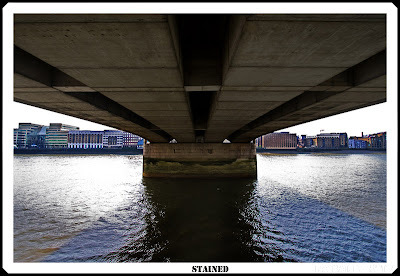 2) We walked across the London bridge followed by a walk under it as we headed towards Tower of London. Our main site to see for today. 3) I wanted to go near the water but no one else seemed to have noticed the stairs that led us there so disappointed I followed them away from the stairs. 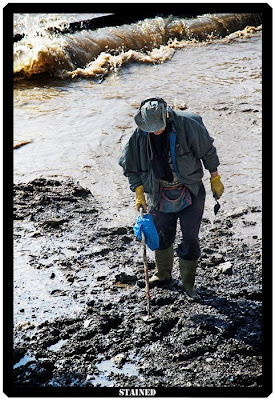 This man was busy looking for metallic objects in the mud. 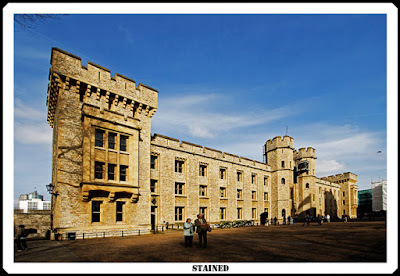 4) The Tower of London was a royal palace, fortress and prison. The Tower of London is often identified with the White Tower (pictured below), the original stark square fortress built by William the Conqueror in 1078. However, the tower as a whole is a complex of several buildings set within two concentric rings of defensive walls and a moat. 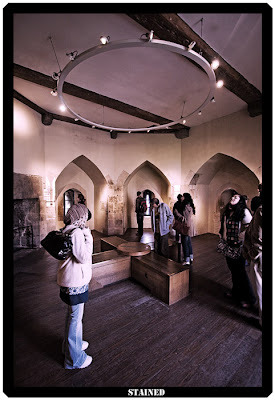 5) The building where the crown jewels are kept. We were curious to see the Kohinoor but it ended up into an anti climax of odd disappointment regarding the importance of such a not so important looking rock. 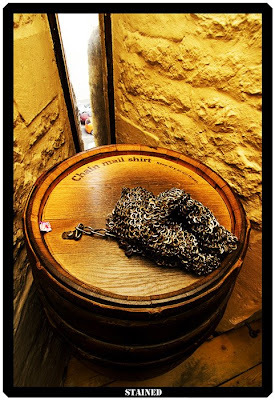 6) A chain mail shirt in one of the towers. 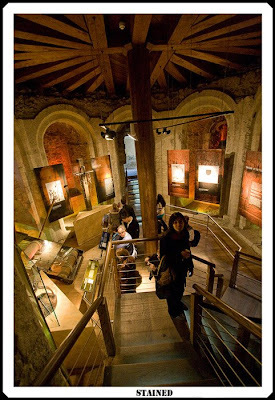 There were various towers with certain exhibits inside as per the importance of the tower during its days of royalty. 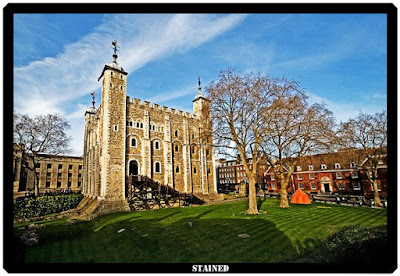 7) A miniature model of the Tower of London. 8) This is where some of the prisoners were kept where some of them have left their marks in the form of graffiti on the walls that are being preserved. 9) The torture chamber exhibit. From what vibes we got from the tour, the British people seemed proud of their disgusting bloody past. 10) A prayer room. A managed to sneak this shot as we were not allowed to enter the room 11) A view of the Tower Bridge from Tower of London. 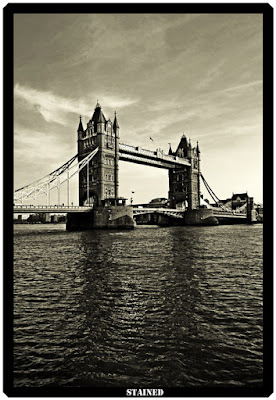 After we were done checking out the Tower of London, at 4:30pm we headed towards the Tower Bridge. Last admission to the top of the tower was at 5pm so some of us decided to come back later. I regret that decision as we didn't get a chance to go later. 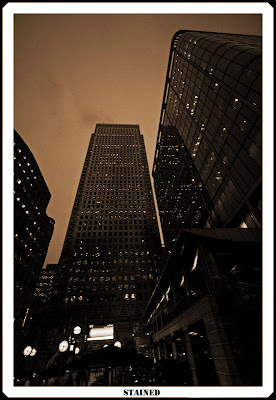 12) We then took the tube to Canary Wharf where you can find a few very tall buildings. 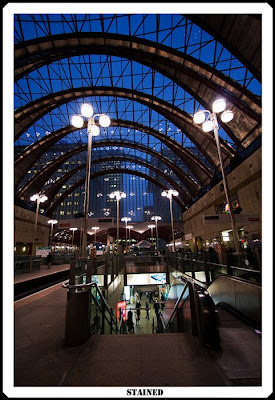 13) The Canary Wharf station where we caught the DLR to make out way back home. 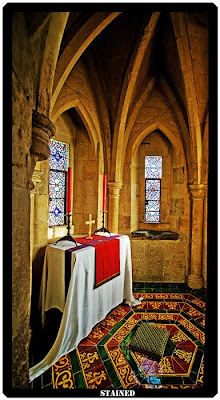 The prayer room and pic no 12. So much colour and warmth. And then in 12, so cold and dank. That prayer room- is that an image or a real room? Why weren't you allowed to enter?